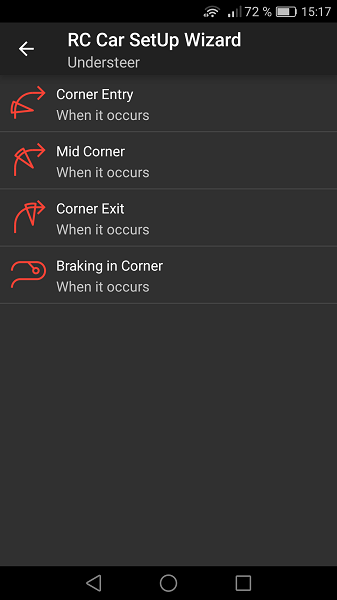 App takes you through the analysis of the driving characteristics of the vehicle to setup the various parts. 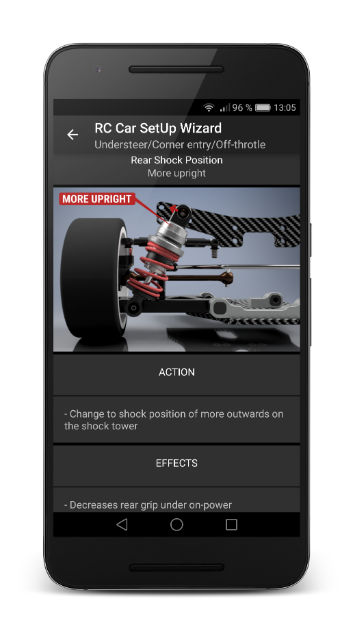 Images will visually show you which changes in chassis settings need to be adjusted. Just answer three questions about the driving characteristics of your vehicle, you want to make better or remove. 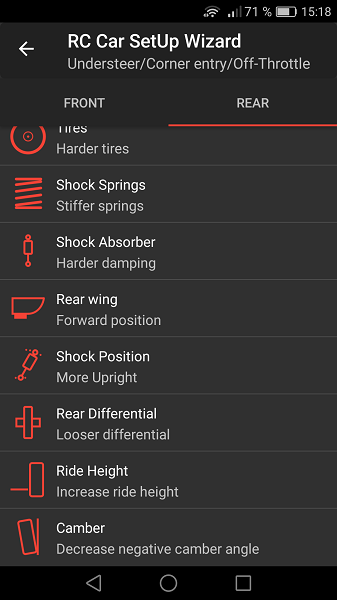 Changes in vehicle settings are divided into front and rear axles. 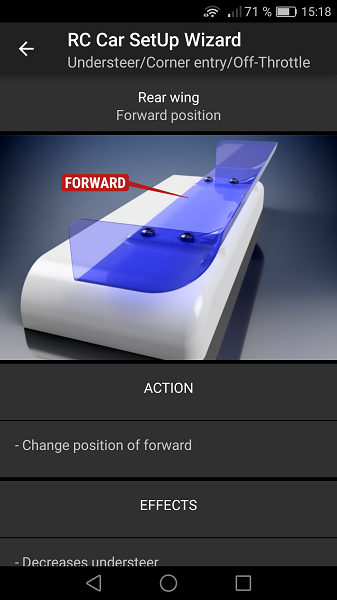 Action describes the necessary changes to the vehicle chassis. 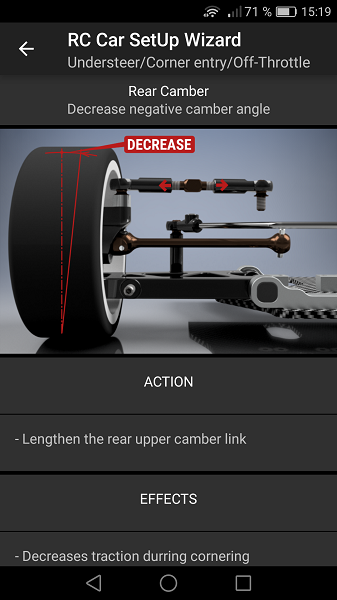 Effects describe the impact of adjustment on the driving characteristics of the vehicle. 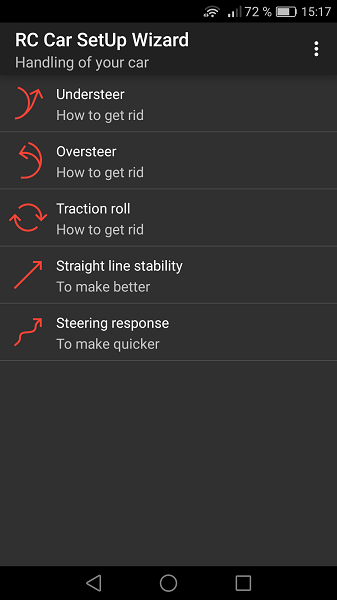 RC Car Setup Wizard will help you to improve the handling of your RC car and make you faster on the track. It is designed for on-road electric touring car with 4WD. Three steps to your performance. The process of using the application : Step First: Identify driving characteristic which you want to eliminate or make better. Step Two: When it occurs. Step Three: In which position is the control power. 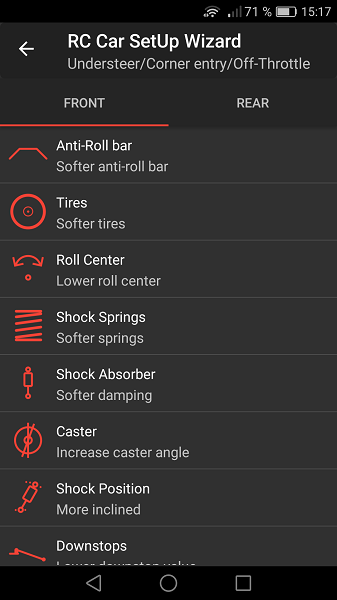 After these three steps you will get a list of settings of each model chassis parts, separately for the front and rear axles. The list is arranged according to the procedure changes. 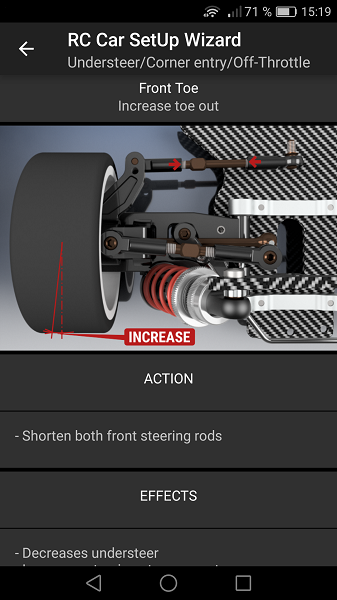 In a more detailed description is described how changes will affect the driving performance of the RC car. 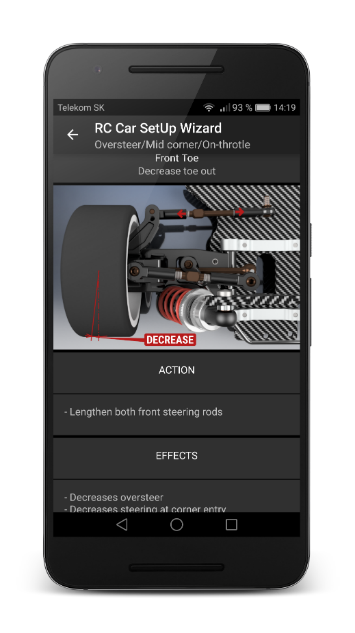 Setting is not 100% accurate, because different changes in settings may affect complex driving dynamics. It is therefore important to test the effect on your RC car after making one change . Of course when you set up, it is required to have good mechanical condition of chassis as well. Copyright © 2019 redscrew.com. All Rights Reserved. 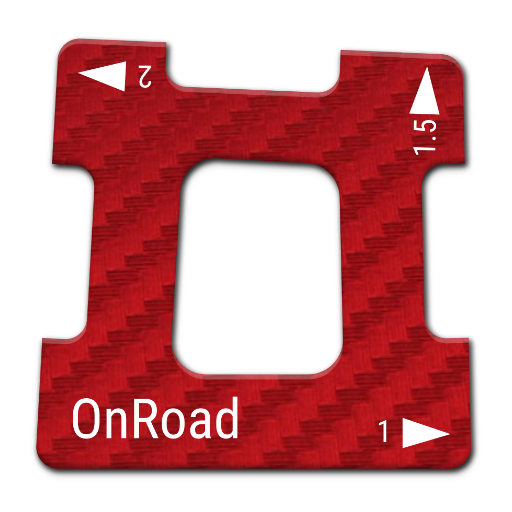 Designed by RedScrew.com. Joomla! is Free Software released under the GNU General Public License.